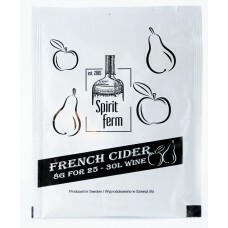 Cider Yeast - PEAR YEAST alcofermbrew.com is the supplier of cider and mead yeast. Alcofermbrew is the supplier of cider yeast. Saccharomyces Bayanus G995. 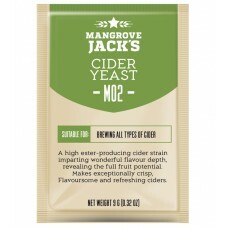 Specially for the fermentation of high alcohol wines, ciders and mead. 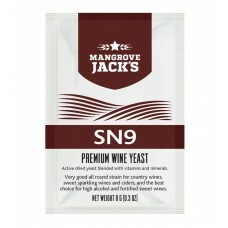 There’s plenty of wild yeast (and bacteria) on the fruits to do a fermentation. All you need is an unpasteurized, raw cider and it’ll take care of itself. I don’t recommend this method – it’s very risky and variable. Specialty Cider yeast - strains are used in commercial cideries. Champagne yeast - Most standard recipes for cider call for champagne yeast. It is a vigorous and resilient performer that does a terrific job at converting sugars into alcohol. 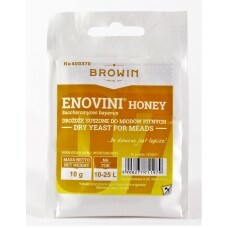 Dry beer yeast - lot less aggressive than champagne yeast. A multi-purpose strain with a very neutral sensory impact, suitable for most wine style but especia..
A white wine strain for making both dry and sweet wines, and also rosé wines. 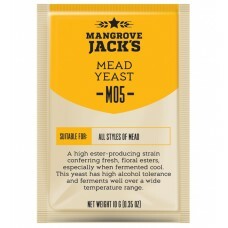 This moderate ..
A general purpose strain with a relatively neutral sensory impact, suitable for almost any wine styl..
M05 Yeast for Mead – Craft SeriesA high ester-producing strain conferring fresh, floral esters..